Now that they’ve resumed filming after completing an internal investigation into on-set sexual misconduct, the producers of ABC’s Bachelor in Paradise have reportedly imposed a two drink per hour maximum for contestants. Good thing no one has ever gotten fucked up off an entire day of drinking two-drinks per hour on the beach before! This change comes after it was reported that contestants’ luggage is now specifically searched for illegal and prescription drugs when they get to set, “part of a broader effort by producers to keep a tighter reign on the activities of contestants.” Production sources also tell TMZ that the cast—as Bachelor expert Michelle Collins predicted—had an on-camera discussion about what occurred between DeMario Jackson and Corrine Olympios, the two contestants whose alcohol-infused sexual encounter led a producer to file a complaint and sparked a public conversation about consent on reality television. Jackson, meanwhile, gave his first post investigation sit-down interview to E! News on Monday (Part 2 will air tonight), telling entertainment reporter Melanie Bromley that he explicitly wanted cameras to follow himself and Olympios as they were becoming more physical out of fear that he’d be painted as the sexual aggressor. 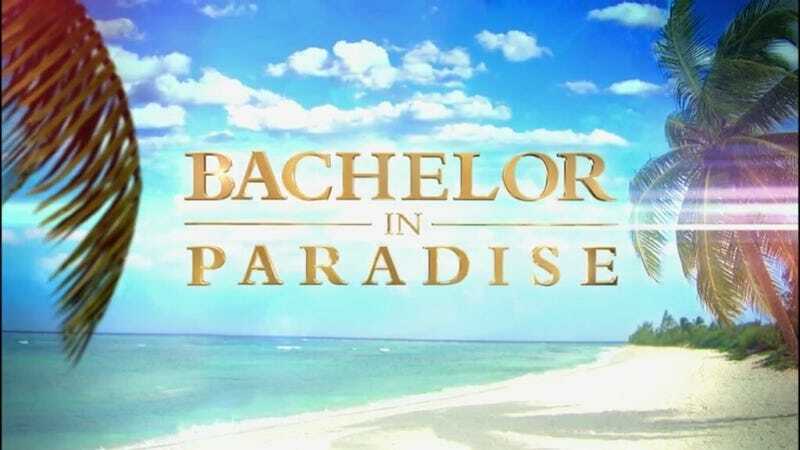 With both Olympios and Jackson off the show, Bachelor in Paradise faces further challenges; ABC is apparently losing advertisers that, up until now, had no issue sponsoring a show about people getting dangerously wasted and hooking up.